If you travel for work or pleasure, you want to avoid hassles at the airport. "You are allowed to bring a quart-sized bag of liquids, aerosols, gels, creams and pastes in your carry-on bag and through the checkpoint. These are limited to travel-sized containers that are 3.4 ounces (100 milliliters) or less per item. Placing these items in the small bag and separating from your carry-on baggage facilitates the screening process. Pack items that are in containers larger than 3.4 ounces or 100 milliliters in checked baggage." Why This Travel Sized Toothpaste? It's great because the toothpaste is travel sized. It is also TSA compliant. So you don't have to worry at the airport. The toothpaste is also oxygenated which is great for getting rid of 'bad' bacteria without harming the 'good' bacteria. What do you do when you are traveling and do not want to be without your Hydro Floss? This is a completely understandable question. Many people I talk to do not want to be without their Hydro Floss for even a few days. Based on what it has done for their dental health, I don't blame them one bit. In fact, it is not hard to understand at all when you consider that for many people the Hydro Floss has saved them from very expensive treatments. My personal experience is that it saved me from a SRP or scaling and root planing treatment. They tend to average somewhere around $1500 for the full mouth. And when you read about them, they don't sound like fun. Many people have to get them again in a few years anyway. This cost can add up pretty quick. So, I digressed for a moment there. Please forgive me. Where were we? Oh yes, how to travel with your Hydro Floss! This tip came from a customer who has to travel a lot. She told me that it is best to save the original box that the Hydro Floss comes in. And use that to put your Hydro Floss in while traveling. That's the way to travel with your HydroFloss. Getting back to my digression. You see, the Hydro Floss seems to have helped a lot of people with their periodontal (gum) health. What do I mean by "help"? That's a great question with many facets. The big question you should have is: "How do you measure results effectively"? Glad you asked that! There is a specific measurement that seems to be related to periodontal or 'gum' health. That measurement is called, "Periodontal pocket depths". And it is your new best friend! Truly. You see, generally speaking, most dental professionals will say that your gums are healthy when your pocket depths are at 3mm and below. The corollary to that is: Generally speaking, most dental professionals will consider your gums to be unhealthy when those pockets are above 3mm. So, that becomes your goal. The Hydro Floss has helped a lot of people, including myself, shrink those pockets down. How would you like to be the next? Of course, it cannot be guaranteed to work for everyone. Every human body is different and therefore, you cannot say that one thing will work for 100% of the people 100% of the time. But there is a way to know if it is working for you as I stated above. The hydro floss will give you the optimal chance to get the best results if you use it a certain way. This way is based on the amount or volume of water used each day. Basically, the best practice is to use the Hydro Floss twice per day and two full reservoirs per use. If you can do that, you will be giving yourself the best chance of success. Does that sound like a lot to you? To some people it does. But I am about to tell you why it is not a lot! So listen up! I can drain two full reservoirs, including changing the water in between in under 5 minutes. So under 5 minutes in the morning and under 5 at night? Is that too much to ask for protecting or possibly improving your gum health? I hope not, because it sounds like a really good deal to me! How does that work? I put the Hydro Flosser on the highest setting. When I do that I can drain a full reservoir in about 2 minutes and 10 seconds - give or take a little. Is Your Hydro Floss Working Properly? This is also a great way to tell if your Hydro Floss is working properly. You simply take the tip off, place the Hydro Floss handle in the sink and then turn it up to full power. Time it. It should be around 2 minutes and 10 seconds. If it is much more than that, it might be time for a new one. So, if you plan on traveling in an airplane, train or car, simply use the box that `your hydro floss irrigator came in originally to protect it. There is a nice styrofoam cushion inside the box and that will help to hold the hydro floss stable so that it isn't damaged by bouncing around a lot. For example, if you were to just toss it in a 'normal' box, it might not survive the journey. I recently had someone call me for a replacement and that is exactly what happened to hers. That jostling around can have quite an impact. She just put it between clothes in her luggage and wrapped it in a towel. That just doesn't work. So she ended up buying a new one. Lesson, if you are going to travel, keep your original box. There just isn't much better at protecting it. I'm not saying that it cannot get broken or damaged that way. It can. It's just that the chances are a lot less. Of course, buying a new one is still justified. When you consider that losing just one single tooth can cost you a couple of thousand dollars (for an implant). The cost of $98 for a new one is not bad at all. You have to look at it that way. Think about what it could be saving you from. To be honest with you, North America is a bit behind the times. The voltage system is a very inefficient 110 system. Therefore, there is a lot of energy lost during travel from the production plant to your house. When traveling outside of the US, you will run into many countries that use the 220 Volt system. You cannot and must not plug your US Hydro Floss straight into a 220 system. Do not buy an adaptor in that country you are visiting. An adaptor is not good enough. You need a power converter (transformer) that will "step down" your voltage for you. You will probably also need an adaptor. But again, do NOT use the adaptor in a 220 country without a transformer! This is where a lot of people go wrong. So, please pay attention. You won't be happy if your machine burns up on your first trip! Speaking of power converters, not all of them are good. Some will not last very long. This is the one I personally use. And it has been working great, even when left plugged in for long periods of time! Of course, if you really don't want to travel with your Hydro Floss, you can get a smaller compact irrigator. But it won't be as good as your Hydro Floss and it won't have the magnetic capabilities that make the Hydro Floss so special. Nothing will work as well as your Hydro Floss for keeping your gums healthy while traveling. But if you must use a portable, irrigation is better than not doing any at all. 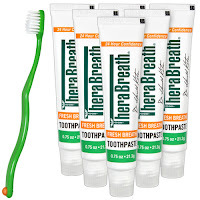 Another possibility to help you with your gum health while traveling is essential oils. They come in small bottles that are easy to carry. This oil blend was made specifically for dental health. The bottle is small and it has a safety cap, so that it won't come off while in your pocket or luggage. Essential oils are great but they are not a long term substitute for what your Hydro Floss can do. Again, the proof is in the state of your periodontal pockets. No one thing works for 100% of the people. But even if you have to combine things to see what works best for you, it is possible for many people to achieve good results. I've already spoken about how to objectively measure your results and therefore evaluate what you are doing on a daily basis. If you can make those gums healthy again, you will be one happy camper, I assume so anyway. Am I right about that? Essential oils might be useful to you. You can use them separately. `It's better not to put anything sticky into your Hydro Floss. When we travel, we typically get excited about getting out and seeing new sights, hearing new sounds and smelling new smells (well maybe not always in the later case). So one area we might hurry in is brushing our teeth. I think people tend to brush harder and quicker when they are in a hurry. So this is a good time to be reminded to brush slowly and gently. Brushing gently is something that is very important. 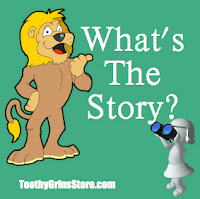 The reason why is that brushing hard can damage gum tissue - even healthy gum tissue. So, you want to always brush gently. You see, the purpose of brushing is to disrupt plaque. Plaque is a rather delicate biofilm. It's not so tough and it is easy to disrupt. The key is to consistently disrupt it daily. And even multiple times per day. Once the plaque layer is intact, the bacteria underneath are shielded from oxygen. That is when they grow rapidly and secrete their awful toxins all over the place. Those toxins are acidic and destroy gum tissue and dental enamel. Therefore, the plaque is considered the enemy. It starts to form again within a few minutes of being disrupted. Therefore, disrupt that plaque daily. If you want a really eye opener about brushing too hard, put some ear plugs in the next time you brush. You will be surprised at what you hear! Of course, you can use an electric toothbrush. I prefer a manual for the most part. But some people prefer electric. Studies do show they tend to do a better job for most people. Many of them have timers to make sure you are brushing long enough. The same principle applies, there is no need to press that electric too hard against the gum tissue. I know that the manufacturers often install cut off safety features if you press to hard. But have you ever tested out how hard you have to press to get that thing to shut off? It's not as sensitive as it probably should be. Many dentist and hygienists recommend the Hydro Floss to their patients. I know because people call to order one and say that too me. It's not a surprise. Those professionals can see the results. They know that many people have gum disease. They see it every day. Speaking of that: Did you know that about 75% of people have gum disease? It's a serious problem. Once you realize how serious it is, you might have the urge to take your Hydro Floss with you when you travel. I don't like to be without mine and other people don't seem to either. The power is in the magnet. That is why the Hydro Floss is better than other irrigators. If you hold a paper clip up to the hydro floss handle you will discover that there is a big long cylindrical magnet in there. Does it make a difference? You bet it does. As I mentioned before, many dental professionals have been recommending the Hydro Floss to their patients. The results have been published in the Journal of Clinical Periodontology. This is a true, peer reviewed journal. There have been two studies published on the Hydro Floss in this journal. They both showed that the Hydro Floss able to reduce plaque and tartar build up between your regular dental cleanings better than irrigators that did not have a magnet installed. This shows that the magnet makes a big difference. This is also why you would want a Hydro Floss. Keeping the original box, helps you to more effectively travel with your Hydro Floss. While it does not remove the chances for damage, it does reduce those chances. 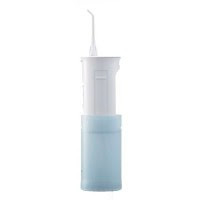 You can read more about the Hydro Floss Oral Irrigator here. I've had many customer tell me that they don't like to be without their Hydro Floss even for a few days. I completely understand because I have that same feeling myself. Protecting my dental health is important to me and the Hydro Floss is perhaps one of the most, if not the most, useful tools you can have in this regard. You can search this blog for more posts and you'll find ample information about it. 1. The first tip is to keep the originally packaging that your Hydro Floss came in. The molded styrofoam cushion is great for helping to protect your Hydro Floss while traveling. 2. The second tip is about what kind of voltage converter to use. Most of the rest of the world is on a 220 voltage system. While, we in America, are on a 110 volt system. Therefore, you need a step-down converter while in Europe or anywhere else that is on the 220 system. Please note: The converter is different from an adaptor. The simran converter I use works great in Germany, for other European countries you may need an adaptor which can be found at local hardware stores within the country you are visiting. This is the converter I have been using - and it works great! Thanks again for all the personal service, Dave. This is just to offer that I, too, have had a long, unhappy dental history - plus an unusual process of coping with it. I actually wrote about it nine years ago and am attaching what I wrote for your perusal. I was 36 years old in 1988 when I began taking responsibility for applying better dental care. That is WAY too long to wait to begin dental care but, well, I imagine you understand how the dental industry doesn't really provide very good education, does it. At least not in those days. At that time I became aware that amalgams might have been making me sick so I began having them replaced one at a time. In 1995 I was facing my first extraction and thought, "I'm too young for this!" It wasn't until about that time if not a little sooner when I began flossing daily with a little tool made of toothbrush-like plastic, I think manufactured by Butler, maybe you have seen it. It is not the disposable type and is unfortunately difficult to find these days but I have found it to be invaluable for my large hands/fingers to successfully navigate. I also started using an old toothbrush - dry - sort of instead of a toothpick, before flossing. Then after flossing I brush as normal with a newer, soft toothbrush & any paste that is available in natural food groceries. A few years later I began adding a metal instrument with a rubber tip (also made by Butler) to my regimen; outlining just under my gumline. Highly effective! Years later still I began using the rubber tip with about 1/4 tsp of baking soda in my mouth - provides powerful abrassion and doesn't really dissolve in saliva so use with care. Then about three or four years ago I bought the Hydrofloss. I continue utilizing the other implements, often spending twenty or thirty minutes cleaning my teeth each night. After all of what I perform before hydroflossing, on rare occassions the Hydrofloss will kick loose something that was still stuck somewhere in my teeth! Not to mention whatever function the magnets perform. I have fashioned a more durable cardboard box into which the original Hydrofloss packaging, styrofoam included, fits perfectly and I travel with it constantly. Since loosing my first tooth in 1998, I have lost two more teeth that were already dead before 1988. Now I am considering having two implants made. Cleaning teeth properly doesn't bring back the dead so it is wise to begin early. As I imagine you well know! Hope you enjoy my story! Hats Off To Your Authorship! Thank you Dan for sending this story in. I really believe that there are plenty of people out there searching for answers. Perhaps reading this will help them to realize that they are not alone in the struggle to find answers. * This site speaks in general terms only. If you have specific questions about your own unique dental health situation, be sure to direct those questions to your dentist for advice, diagnosis and treatment. This irrigator is made for travel. It is small and compact and runs from two AA batteries. However, there is a drawback. The chamber that holds the water, as you will see in the video below, is a bit small. If you don't mind refilling it a few times to do an adequate irrigation job, then that would be no problem for you. But, if you are not sure you want to do that, this might not be the right irrigator for you. Of course, in order to be 'portable' it needs to have a small chamber. You are likely to run into the same problem with other portables too. The nice thing is the battery chamber. You can use a small coin to open the twist part and the two batteries go inside that chamber. No need to worry about chargers or power cords! Of course, this little baby is not as powerful as the hydro floss and it also lacks the hydromagnetic qualities that the hydro floss offers. But, for a short trip, it is much better than nothing at all. I did hear form a Hydro Floss customer once who told me that she wanted to travel with her Hydro Floss. She travels a lot as a bank VP. Once she found out how the Hydro Floss improved her dental health, she did not want to be without it. She told me that she kept the original packaging that the Hydro Floss came in. That packaging encases the Hydro Floss in a nice protective snugly fitting dress of Styrofoam. She said that it protects her Hydro Floss nicely and she is happy to travel with it. Maybe some people don't want to travel with a full size irrigator. In that case, the portable panasonic is a good choice.